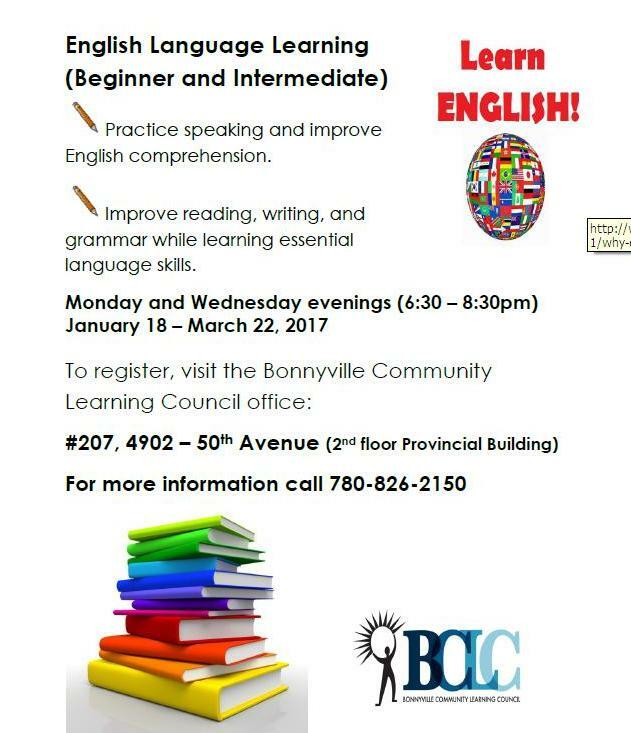 Stop by our office to register for the current English Language course now being offered. We are located in the Bonnyville Provincial Building on the second floor. Our annual Family Literacy Event is coming soon! 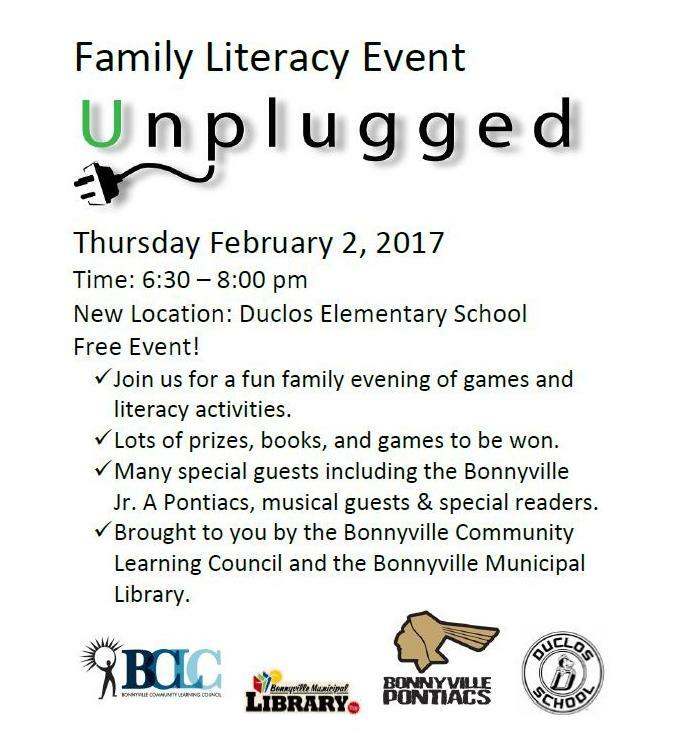 Family Literacy Unplugged will be held at Duclos School this year, on Thursday February 2 from 6:30-8pm. Please share and spread the word about this great FREE family community event. 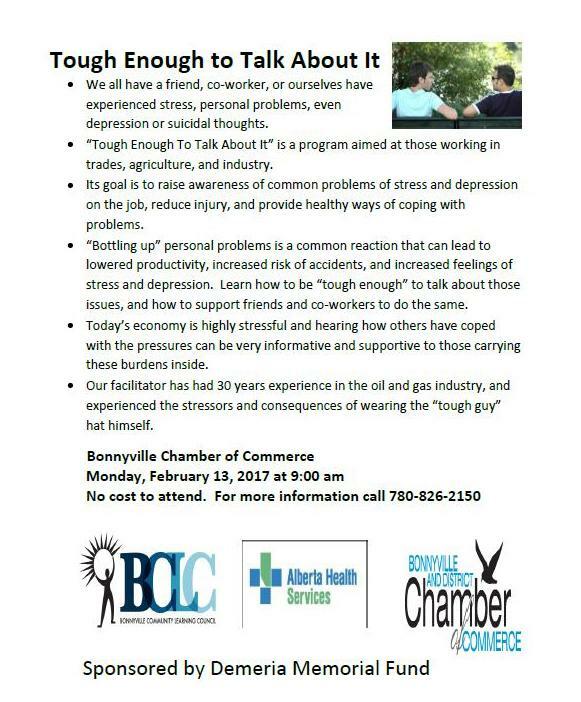 ‘Tough Enough To Talk About It’, is a free 50 minute presentation geared towards those working in trades, industry or agriculture that aims to increase awareness of stress, depression and potential for suicide, and provides information about available resources. Many people see problems as a “sign of weakness” and this can increase risk of injury and depression, but “tough enough to talk about it” encourages opening up and getting help for themselves or a co-worker who needs it. Want to brush up on your First Aid skills? Looking to learn how to provide treatment in an emergency? 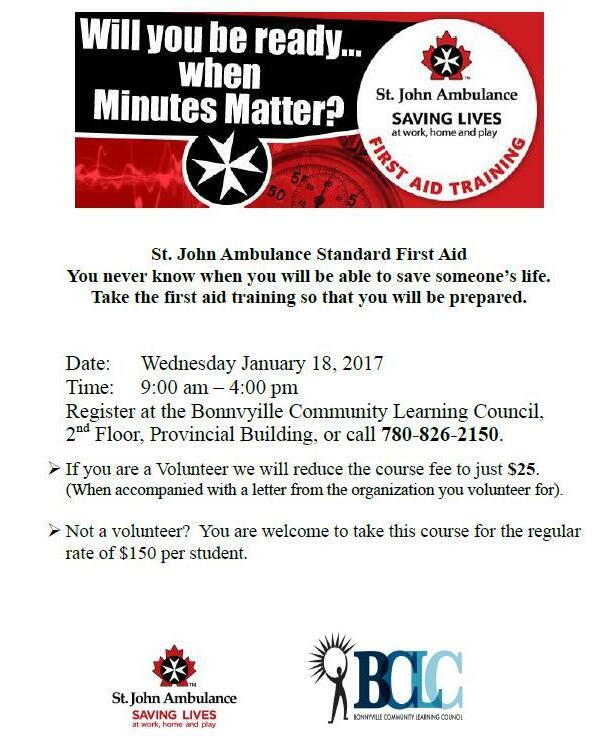 Sign up for our St. John Ambulance First Aid training session, happening this January 18 in Bonnyville. We’ll reduce the course fee by 80% if you’re a volunteer with a club or group, but of course everyone is welcome to attend. Call us today, 780-826-2150.